According to the American Heart Association, approximately every 40 seconds, someone in the US has a heart attack. 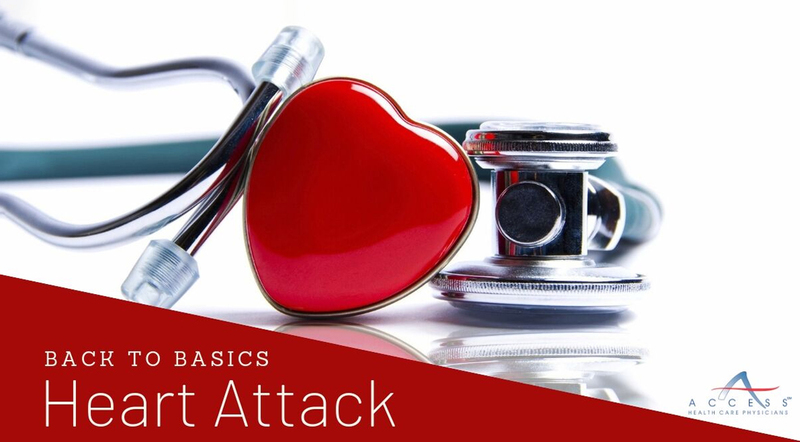 In this article, we discuss what a heart attack is, symptoms and treatments, life after a heart attack and ways to reduce your risk of having another heart attack. Your heart needs oxygen to survive and if the blood flow that brings oxygen to the heart is severely reduced, or cut off completely, a heart attack occurs. While there can be several causes, this occurs typically because the arteries that bring the blood to the heart narrow over time with a buildup of fat, cholesterol and plaque. When this plaque breaks, a blood clot forms and can block the blood flow to the heart. The result of a heart attack is a very damaged heart muscle. The extent of damage depends on the area of the heart that was being supplied by the blocked artery and the time before treatment. In most cases, the heart will take approximately 8 weeks to heal and begin to form scar tissue. This scar tissue may not pump or contract as well as healthy heart tissue, causing a decrease in heart function (think of it as tighter, less elastic than it was.) This is why it is important to take the steps necessary, as recommended by your doctor, to help reduce the chance of a recurrent heart attack. Balloon angioplasty (PCI) - Special tubing with an attached deflated balloon is threaded up to the coronary arteries and then inflated to push plaque against the walls of the artery to increase blood flow. A heart attack is certainly a life-changing event. According to the American Heart Association, around 20% of patients age 45 and older will have another heart attack within five years of their first. They also give the following five steps you can take to help reduce your risk of having another heart attack. Take your medications as prescribed – these are intended to greatly reduce your risk of another heart attack. It is important that you understand your medications, take them correctly and speak to your doctor about any concerns. Attend all follow-up appointments – Your doctors need to keep track of your recovery and health in order to stay on top of any concerns. Participate in cardiac rehabilitation – This is a medically supervised program designed to help you recover after a heart attack. If you did not receive a referral for a cardiac rehab when you were discharged from the hospital, discuss this option your doctor to see if it’s right for you. Get support – it is normal to feel scared or overwhelmed. Getting support from loved ones or from others who have experienced a heart attack can help you cope. Ask your doctor for references to local support groups. Manage your risk factors – It is important to manage your risk factors such as high blood pressure, high cholesterol, diabetes and smoking to reduce your risk of heart attacks. It is also important to look over your diet and activity levels, once cleared by your doctor. Be sure to follow us on Facebook, Instagram and Twitter to keep up with more articles like this and other updates!